Having more fun with the Holidays! e-mail and I would be glad to answer any questions. I would love to have you on my team, the Bowers Bombshells!! Thats right we are Da Bomb!!! I have been taking a leadership training, nothing too major, just something that my team offered and I joined. I was excited to receive the email asking me to participate. I have lots of leadership roles in my short career time and being given another opportunity is exciting. One of the things we talked about alot was building and taking care of the team our on way and which way would it be. I have to say my team is relaxed, I dont try to tell them how to run their business, however I do give them ideas, share what I am doing with my business, and try to reach out to them to make sure everything is running smoothly. It's not my business, just my team. I am here to listen, guide, share, and talk to them. I am not sure to tell them they are doing something wrong or should do it another way. The guidance we have received from our own leader, our Director, has been wonderful. I want to lead by example, I do not want to micromanage or try to put someone down. My team is awesome, one is a great lady I met in May and the other is a co worker that has become a really good friend. They are growing their own teams and I cannot wait to watch them in their roles as leaders. During our leadership training, we speak alot about our WHY? Why did we want to join Thirty One? Why did we decide to sell totes, purses, bags? Why did we contact the person we did to sign up? So my WHY started out to pay off debt, then in early April, we decided all my commission would go to our beach fund. So we went to the beach with more than enough because of my parties. Then it went back to debt and now it is on to Christmas. We will be using my commission and Kenny's other jobs to pay for a CASH ONLY Christmas. I so hope that this is realized and happens. I believe it can. I believe that it will. Now I am counting down until my November parties. I am so excited for them. And once all my commission is paid, I will be shopping for all the wonderful people in my life. So excited for the holidays. So my WHY changes every couple of months, it just depends on my families extra needs, but it comes through, it happens, and my family is always taken care of. Beth Ann & Jessica's Helpful Savings will be featuring 15 items in the month of November. First Giveaway starting November 1st. and submit "live' post link when giveaway starts. OVER $600 in prizes! = 15 winners ---1st prize on rc = 1st winner, 2nd prize on rc = 2nd winner ect. One more benefit of being a consultant for this great company is our Celebrate and Connect meetings. They give us a chance to meet up with other consultants on our team and to get some one on one training with our director. There may be a day when I am holding these meetings myself. Also at our C&C meetings, we get an item to help our business. Thirty One is always about making it easier for our business to grow. At this C&C meeting, we were given an item that will be revealed in our NEW spring Catalog in January 2013. This item was given to us so that we can start promoting and booking into the spring months. The item is AWESOME and that is all I can say if you are not a future hostess. My hostesses in November and December will be presented with a Thirty One Challenge from ME. The bag that I was given is a value of $65, and I would love to share this item with my hostesses. If their parties close with a certain number of bookings I will celebrate my hostess with the same item. This challenge will also be extended to me, can I get people excited enough to want to throw an awesome 31 party? Can I present a good party where they love the products as much as I do? And what gift can I present them with for booking? One of the best things about the way I run my business, is that since I get items for FREE I love returning the favor to my customers. I will be doing the same with myself when I host my 3rd Open House in December. Can I get the required number of bookings? Maybe have someone join my team? Extend the love of this great company with anyone that wants the opportunity. So contact me to host your own home or book/online party and I will share with you the item thats in all of our hands. It is a super great item and I cannot wait to use in my home!!! IRON MAN 3 / Trailer now available on iTunes! Lego KidsFest returns to Pittsburgh's David L. Lawrence Convention Center, November 30-Dec 2, 2012! Ticket Giveaway!!!! THE LEGO® KIDSFEST NATIONAL TOUR STOPS AT PITTSBURGH’S DAVID L. LAWRENCE CONVENTION CENTER NOVEMBER 30 – DECEMBER 2, 2012, BRINGING ALL OF THE CREATIVE HANDS-ON, MINDS-ON FUN OF LEGO BUILDING AND EXPERIENCES TOGETHER IN THIS THREE ACRE ACTIVITY- AND ENTERTAINMENT-PACKED FAMILY EVENT FOR CHILDREN OF ALL AGES AND BUILDERS OF ALL SKILLS AND INTERESTS. FIVE SESSIONS – ALL IDENTICAL – ARE AVAILABLE FOR THE PITTSBURGH NOVEMBER 30 – DECEMBER 2 TOUR STOP. LEGO KIDSFEST TICKETS ARE $20 FOR ADULTS AND $18 FOR CHILDREN AND CAN BE PURCHASED ONLINE ATWWW.LEGOKIDSFEST.COM. THE LEGO KIDSFEST 2012 TOUR STOPS: CINCINNATI (MARCH 23 – 25), DENVER (APRIL 27 – 29), MILWAUKEE (JUNE 15 – 17), AUSTIN (AUGUST 31 – SEPTEMBER 2), DETROIT (OCTOBER 12 – 14) AND PITTSBURGH (NOVEMBER 30 – DECEMBER 2). To enter the giveaway please follow this link and fill out the form. 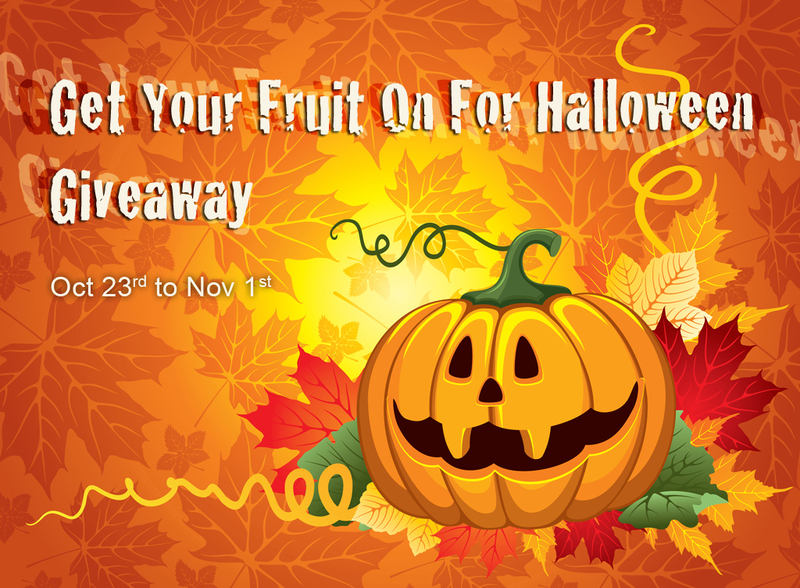 A winner will be randomly selected on November 9th. Good Luck!!! It's Halloween time! Which also means spoiling ourselves with some not-so healthy foods. Chocolate, candies and those good old chips! We all love our chips but the guilty feeling that comes with it, not so much! But hold on! What if you could eat chips and still do your body good? And how about if you could win some of those fantastic and delicious chips? Giving Away a total of $75 in Cash Giveaway!!! Please make sure you let the Host know that I Dont Get Sundays is where you heard about this giveaway. Disclaimer: I Dont Get Sundays was not compensated for this giveaway and is not responsible for prize fulfillment. This giveaway is void where prohibited. You must be 18 years of age or older to enter. This giveaway is in no way affiliated with Facebook, Twitter, Pinterest, Picket Fence Blogs, or Reclip.It. Hey everyone and welcome to another great Jewelry Candles giveaway. Jewelry Candles was inspired off of the classic movie "Willie Wanka and the Chocolate Factory". Inside the movie, very few won a prize when the opened their chocolate bar to reveal a golden ticket. With Jewelry Candles, everyone is a winner. You can find yourself a gorgeous piece of jewelry that is worth any where from $10 to $7,500. You might find a ring, necklace, a pair of earrings, pendant, anklet or even a bracelet. Look and find something that says "YOU"!!! This past week has been horrible. We have had plenty of bad nights in our household since having Ava 3 years ago, but this past week ugh! Both girls went down pretty fast with colds. Runny noses. Coughs. Attitudes. Clinginess. Whiny. All of it times 2!!! Hailey has had a runny nose for about a week or a half, she had a bottom tooth pop through, and now she has a terrible cough. Ava started with a fever last week, diagnosed with an early ear infection, runny nose, and lots of attitude from not feeling well. Their days havent really been too bad, its when the sun goes down that all heck seems to break loose in our house. The lack of sleep has made me a bear right along with them. I can usually run off little/no sleep pretty well, I like to think so anyways, however I have my breaking point. The past 4 nights have gone down like this: girls asleep by 830, Ava back up by 1030 needing water, 1230 Hailey wakes up coughing, 1 or 130, Ava is up for water, 230 Hailey screams for 2 hours or so, Ava in the middle of this screaming wakes up one or more times for more water. We are all up for the day by 6 or 630 and they are off to daycare while I go to work. My hubby, god bless him, is up then goes to work a long shift where he may not sleep there either. Ava is on day 5 of her medicine and actually woke up smiling like her old self. Hailey's nose is no longer running. Both girls seem happy. However this was at 630 in the morning. Lord only knows what this evening will bring. I am hoping for a good couple of nights before Hailey has any more teeth come through. It seems like she is good then a tooth really bothers her until it pops through. Ava's ear infection seems to not be bothering her anymore. So we go from here. I am only wishing for good moments. We all want good moments. The bad ones are okay too, just want my girls to feel better, to play, to not be lumps on my couch. I have enjoyed the snuggle time. But they both snuggle when they are well. I would rather have them playing than on my lap most of the time. I love hearing them laughing together. I love it when Ava yells "come look at us mommy" and they are doing something silly. I am sure it will all be back to normal soon enough. I will be then pulling my hair out wishing that they would just sit for a minute so I can get a break. But life with these two will never have a dull moment, they are already partners in crime together, looking out for each other, and getting into trouble every day with each other. Please Say “Life’s A Bargain” Referred You! She's 1!! Our baby is no longer a baby!! Hailey's 1st birthday was awesome. I took off work and we spent the whole day celebrating her. We had one little hiccup, Ava had come down with a cold and had to be seen by the doctor. Her story ended with ear infection and a cold. So most of our plans for the day disappeared. But Hailey had a good time. She got a good nap taking Ava into town and then riding home with her daddy. This year has gone too fast. It feels like yesterday we were bringing her home. I went through the whole day telling Kenny what I was doing at that time. I think I remember it all because it was supposed to be my last day of work, then a day of rest, then my scheduled c-section. Since we were having the scheduled c-section, I wasnt prepared for her at all. No bags packed, nothing done for Ava's weekend at Nanny's. I had thought all along, she would come early, my calculations said her due date was October 14th, which meant my c-section on the 21st was 7 days late. But by the doctors numbers she was marked as being born at 38 weeks 5 days. I still argue that she was wrong. Anyways, on the 19th I totally was NOT expecting her. I felt horrible all day, which I did for all 9 months, I had a team lunch at Warm Springs, my team was saying goodbye and making sure I had all my ducks in a row before leaving for 6 weeks. So when I got home that night and my water broke I was absolutely shocked and unprepared. I called my sister in law, thank goodness for her, she immediately stopped what she was doing, left her family and came to my house. She helped me pack my bag, Ava's bag, yelled at me for not being prepared, and waited with me for Mom/Robbie and Kenny to get here. Kenny put the carseat in mom's car and loaded it up with her bag, toys, and everything under the sun. Erika wished me luck and went home. Kenny and I were off to the hospital. At 11:44 pm she was taken from me and announced BORN. She came out screaming and screamed the whole time she was in the room with me. By 1 am, we were all in our room and life began with another newborn. So thankful for her to be healthy and no issues. She's grown so much, so fast. She's saying a few more words, "ice", "momma", "out", "no". I will update her weight/height once she goes for her wellness check. She's been walking for 3 months, off formula, and sometimes sleeps through the night. She loves her chocolate milk. Now a household with 2 toddlers, running around the house, and having a great time. Renewed: Fundraising Link--Look for it! So I have alittle link on my side scroll bar for school fundraisers, they contacted me about 6 months ago and I agreed to place the link on my blog. Big Event Fundraising is an awesome source to help your school out. Mr. Boggess is a nice guy and easy to contact, email is super fast back and forth. So if your son/daughter is at a school and they want to do a fundraiser, contact this company and start it right! Wreck-It Ralph - "Hero's Duty"
oting in the presidential election is important...so is voting for your family's fitness. Excercise your child's right for fun-filled activities, gymnastics, sports and more. Take advantage of one of these amazing offers and you'll be entered to win My Gym Free for a Year! A Hostess Surprise!!! For my love of Thirty One Gifts!!! Haven’t scheduled your party yet? Now is the time!! Remember when you were a kid and you would get your piece of paper with clues and you would go out and find the item?? I have started doing scavenger hunts on my facebook page for my customers of Thirty One. This is a great tool to get your customers looking through the catalog and maybe even scoping out something that they wish to purchase. I do it for fun. I love the business and I love giving items away. This is my 2nd big game for my customers and it has really helped reach those that have been busy and cannot hold a party or havent purchased for a while. They email/message/IM the answers to me and I record who has the correct answers. We are currently using the Fall 2012 catalog and with all the new items I am so excited to have my customers searching for different items. They might be seeing something they hadnt noticed before, they might see something in a print that is new, or they might just play the game and not really be interested in buying at this time. Regardless we are discussing 31 and looking at the catalog. I love my customers and really try to make it work for them. I try to find what they want and how to make it work for their budget. I dont try to get them to buy if the funds arent there, there is always tomorrow, it doesnt have to be bought right now. My customer base is slowly building which is exciting and my team is slowly growing which is awesome. Its a whole new experience. This scavenger hunt is a good way to just have fun with a great company. I play them at my home parties and wanted to share something with my customers that may be too busy for a home party and have just done book parties. Also getting the opportunity to win something for just a little time on the computer doesnt hurt either. So excited for everyone that is playing along and having a great time. At the end of September I became an "Independent Senior Consultant" with Thirty One Gifts. How proud am I?? LOTS!!!! This is a huge thing, a surprising thing, something I never expected when I began my career with them in February of this year. My only goal was to get cute totes for the discounted price and try to stay 'active' by submitting a $200 party every 3 months. Now in October I have a team of 3 ladies that are awesome to work with and the team spirit is awesome. The positivity with this company is unreal. They just pump you up, there is no negativity, there is no 'you didnt do it the right way', its just 'way to go' and 'WOOT WOOT'. Its a nice change. Most companies are about numbers and no doubt so is this company however if you have a bad month, oh well, theres always next month. My direct is awesome and has really answered every question I had and gotten back to me in a good time frame, there is no 2 week wait, usually a day or two and I have some kind of email or call from her. I started 'Leadership' training. This training is to help me become a better leader within the company, learn how to train my girls, learn how to grow my team, and learn how to take care of my business the way that I want it. I am so thankful that Thirty One has come in my life, I have met a great group of Ladies, a family of sisters that are there for me and my family when I need them. Now on to my goals with Thirty One, maybe one day a director who knows. I would love the opportunity and this company will give me that. I, of course, will be trying to build my team, bringing on more sisters and working with them to become the leader that they would like to be. This promotion has shown my family one thing, this isnt just a 'hobby', it is building into a nice career that will lead to lots of great opportunities including free trips around the world, gift cards to places like Best Buy, and rewards of free merchandise just for having a party or two and enjoying the company of ladies around my area. Sooo if you have thought about joining a direct sales company and want to join a great one, a faith based one, a positive one, one that rewards you, and one that will become a family, contact me to join, visit my website and join. It cost me $99 for the beginners kit, and I will never look back, I have already earned that and more in this experience. There is nothing like rocking your baby in your arm until they fall asleep. Take your chance at this awesome giveaway. PRIZE: Eclipse Glider & Ottoman combo (in the stain/color of your choice) -- $200 value EVENT DATES: October 5, 2012 – October 19, 2012 Open to US residents ages 18+. To enter, please use the rafflecopter form below. And don’t forget to come back daily to gain additional entries. The more entries you have, the better your odds of winning. 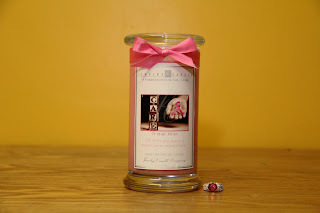 Think Pink Jewelry Candle Giveaway! DISCLOSURE: Disclosure: I received no compensation for this publication. My opinions are my own and may differ from those of your own. I Dont Get Sundays is not responsible for sponsor prize shipment. Thirty One Gifts Mystery Hostess Party!!! All prints and personalization will be chosen by YOU. This is a great idea especially when you have little ones that want to go in and out all day long, you can easily go in and out without slamming the door all day long or letting lots of bugs in after the kids. A couple of years ago my son ran smack into the sliding glass door. We were all sitting outside and had closed the door in order to avoid letting the flies in. Well, he couldn't tell that it was closed, and the next thing we knew he was on the floor crying. Don't worry he wasn't hurt badly. The Magic Mesh would have been helpful that day. Here are some pro's and con's for the Magic Mesh. It is easy to install; it attaches using adhesive Velcro sticks. No hardware or tools are needed. You can easily store it during colder seasons. It doesn't get in the way of your regular door closing. It parts down the middle, making it easier to get in and out. It fits many types of doors; single doors, sliding doors, or even RV doors. The eighteen magnets down the middle make it easy to open and they automatically shut close behind you. I love this feature when taking a full plate of meat out to the barbecue. It is very reasonably priced, therefore, far more inexpensive than the average screen door. Currently if you buy one, you can get one free. Also, they have a 30-Day Money Back Guarantee should you decide it's not for you. Measure your door first! It fits many doors, but you will want to make sure that it fits yours. The dimensions are 83” height x 19.5” width per panel. The package comes with two. So, that makes 83” height x 39” width for both panels. You cannot lock it; so if you have a toddler like I do, you cannot prevent them from getting out. So this year, I decided to go a little nuts and do A WHOLE LOT for their birthdays and to SPOIL them as much as possible. Ava is a great age, 3, and learning so much and able to do a lot more now than even this time last year. Hailey will be 1 this monh and we celebrated both at one time. We have a huge guest list and I was NOT going to do this twice. Last year we went to her friend Cari's party and they had face painting and a balloon guy there. They were really awesome. So in January or February I emailed and asked a few questions and ended up booking the "Glitterbugz" company. They worked with our date, so glad I booked them months in advance, and I had one thing marked off my list early. So all year I had been working on ideas and how I wanted everything. This past weekend it went into action. I think everyone had a good time. If they didnt, no one is telling. The kids all had a great time I am sure, they had a line for the facepainting and balloon guy the whole time they were there. Cant wait to see what I do next year to make them happy! I love birthdays, they are a special day, as long as I am living the girls birthdays will be a special day filled with anything and everything they could have dreamed of. Last week she was waking up about 4 times a night, I was switching between formula and water. I would try to give her water first but she wasnt satisfied and would scream so she would get a little bit of formula and go back to sleep. She was also going to sleep her normal time but waking up extremely early. I was getting to the point that something had to change and change quick. Friday night we were up 3 times and up by 5. She did manage to go back to sleep for a little nap so I got a little shut eye before starting the day. Saturday was their big birthday party (post to come) and she went without a bottle all day, which she had been doing for us for about a week. That evening, I decided, she had gone 18 hours without a bottle or formula it was time to just try the night. She did okay, up at 330 then at 5, got her back to sleep around 530 and she slept until almost 8. No bottle, only sippy cup of water in the middle of the night. Sunday morning, Kenny and I talked and thought 'cold turkey' is the way to go. We were out of formula anyways and I really didnt want to go get another whole container for her to not want it. So we are on day 4 of no bottle and no formula. She is sleeping 10x better, getting more food since she is not being supplemented by the formula, and she doing great with milk.